Spending the time with friends and family is really worth our time. Nowadays majority of today, fighting for their career, earning for surviving and so on. Money maybe will be the one you need to maintain for surviving but did you know that, money can be earn anytime but spending the time with friends and family is more than what you able to earn. Have you been Klang Parade before? For the information, Klang Parade has just been transformed into modernistic community retail hub. 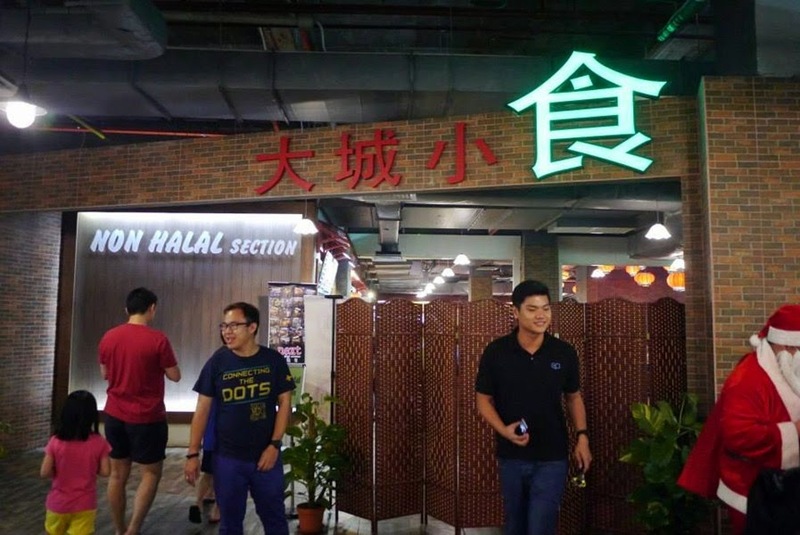 Not only that, a careful planning and design, a new al-fresco food and beverage area has been established in front of Klang Parade, replacing spaces previously used as a car park ramp. Before that, I would like to thanks Klang Parade for an awesome days for us. Here is some write-up on my experience of Blogger Out Day at Klang Parade. Rejuvenate Dance Crew from 8TV Showdown and Astro Battleground. Here is the first stop of our Blogger Day Out right in front of Peanut Butter Studio. This studio will be launch soon after renovating has been complete. Not only that, we been being chance to watch live performance from Rejuvenate Dance Crew (8TV Showdown and Astro Batteground). After the performance, we been directed to Firezone Family KTV. This will be the best place for you to spend time together with your family or friends. I been told that Firezone Family KTV provides Wifi, Snack, Pool and also Karaoke. It seem everyone is enjoying themselves. This Firezone Family KTV consists of 44 units of small, medium, VIP and even VVIP rooms. Not only that, I guess the best singer of the way will be Alan Thoo. Guess what song did Alan Thoo singing now? Another group photo before we become children again. After that, we has been given a chance to enjoy our-self at Circus Circus Arcade. This place will be a great spot if you have children and want to spend time together. There are a lot of games that we never play before or we do not have opportunity to play last time. Age is not the problem, as long as you happy everything is worth. Lets get some teddy bear! Time to get win candy to eat! It been everyone is enjoying themselves. I guess today everyone that entering Circus Circus Arcade is just 12 years old. After that, we been directed to one of the TuneTalk Outlet at Klang Parade. We has been a task to do some martial arts pose. Which post do you think is the best martial arts pose? For me, I will choose Pose 3. How about you all? Another group photo at TuneTalk Outlet. Time for some fresh fruits hunt after walking around Klang Parade. If you are a one of the fans of Fruits just like Rane, this will be the best spot for you to have hunt fresh fruits inside Klang Parade. Not only that, their rojak sauce is really awesome. Do pay a visit for having a test it too. Meanwhile, we being a task to build our own fruit satay stick. Before we starting to eat, we also take another group photo again. It seems we like to take group photo. I been told that, I.GF Nail Spa provides manicure and also pedicure. The shop is really well-designed. It will be a best place specially for gals to visit. They been giving me some professional through of my finger and way to take care too. Highly recommended. Time for Ellie to have some nail art. Meanwhile waiting you able to eat lollipop just like her, Rane. And she told me that she just 28 years old. Do you believe? Time for some finger group photo. Time for me to hunt food. It been a whole day at Klang Parade. 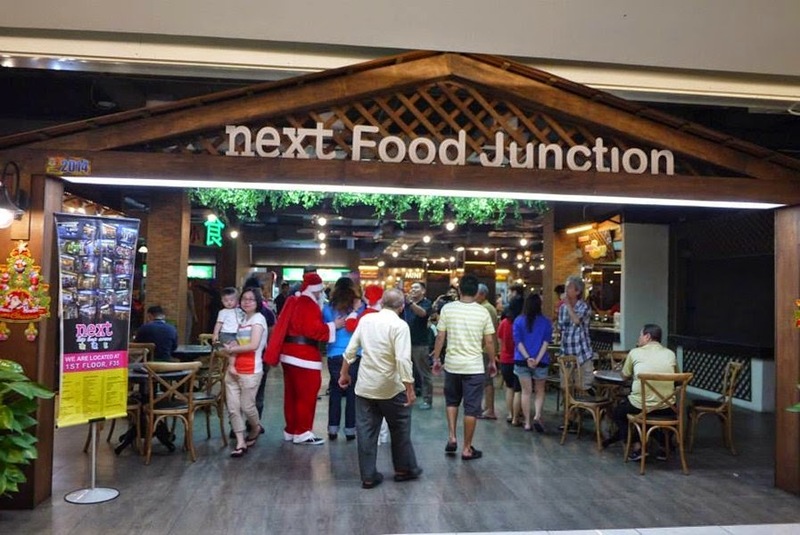 There are various of food provided or available at Next Food Junction. Not only that, Halal and Non-Halal will be separated. Anyone want to eat this? Before the event is ending, we giving a chance to take photo with Upin & Ipin mascot at the mall's main court. Another group photo but this time with Upin & Ipin. Before I end, it really create a new memories for everyone that participating on this event. It seems everyone is having fun together. Moreover, there are a lot of places I haven explore in Klang Parade yet too. I will visit Klang Parade again soon. For more information and their latest update, you able to visit at https://www.facebook.com/ARA.KPM or call their hotline +603-3343 7889.